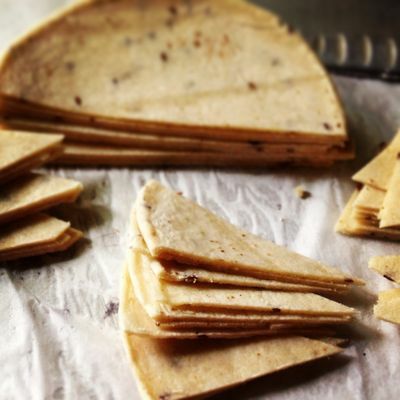 Brush olive oil or butter over one side of each tortilla and sprinkle with sweet or savory seasonings. Cut each tortilla into 1" wide strips. Place strips in single layer on un greased baking sheet. Bake at 400 F 15 to 20 minutes, or until strips are crisped and golden. 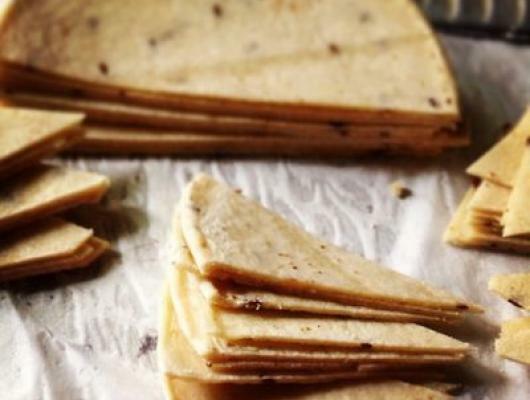 Making your own tortilla chips is easy and inexpensive. You can make them simply with a bit of salt and oil or flavor them to suit your mood.